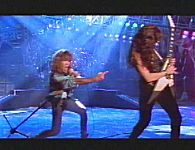 Produced and arranged by Dana Strum & Vinnie Vincent . Recorded and Mixed at Cherokee Studios, Hollywood, CA. Drums recorded at the Sunset Landmark Theatre, Hollywood, CA. "All Systems Go" showed promise, but the production was too watered down. Listed are some alternate guitar solos from songs from that album as well as some unmixed tracks. 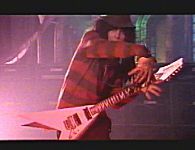 A couple of the demos are sung by Vinnie Vincent. * Various versions of the song "Love Kills" does exist. The length of "Love Kills" on the original Chrysalis vinyl album and CD version is 5:33. 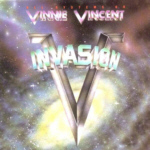 This version is also on the Vinnie Vincent Invasion releases by Zoom Club Records. The length of "Love Kills" vinyl single (7" Edit, Chrysalis CHR/ZCHR 1626) is 3:41. On the picture sleeve it can be read "Featured in the movie Nightmare On Elm Street IV". You can not hear Freddie Krueger introduce the song on this version. The guitarsolo and the second chorus is gone on this one. Also the two lines "Love's dying sin is just dust in the wind, I face the other side of no tomorrow" (just before the 3rd chorus) has been removed. A third version of "Love Kills" is on the 2003 remastered CD-version as released by Chrysalis Records manufactured by EMI/Capitol Records. The length of this version of the song is 4:36. The solo is shortened, the same two lines as above are removed and the two lines in the first verse "The pain makes it so hard to understand, You're a lifetime ago but a memory away" is removed too. ** "Let Freedom Rock" incl. "Star Spangled Banner Intro", which is listed separately on the Japanese release. *** The original "All Systems Go" CD bonus tracks, "The Meltdown" and "Ya Know - I'm Pretty Shot", are excluded from the Zoom Records release.